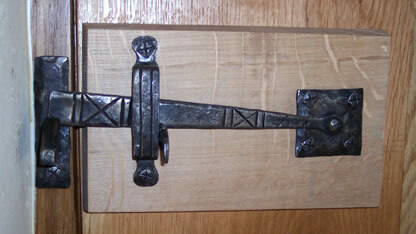 Restored working closely with English Heritage using traditional materials and techniques. 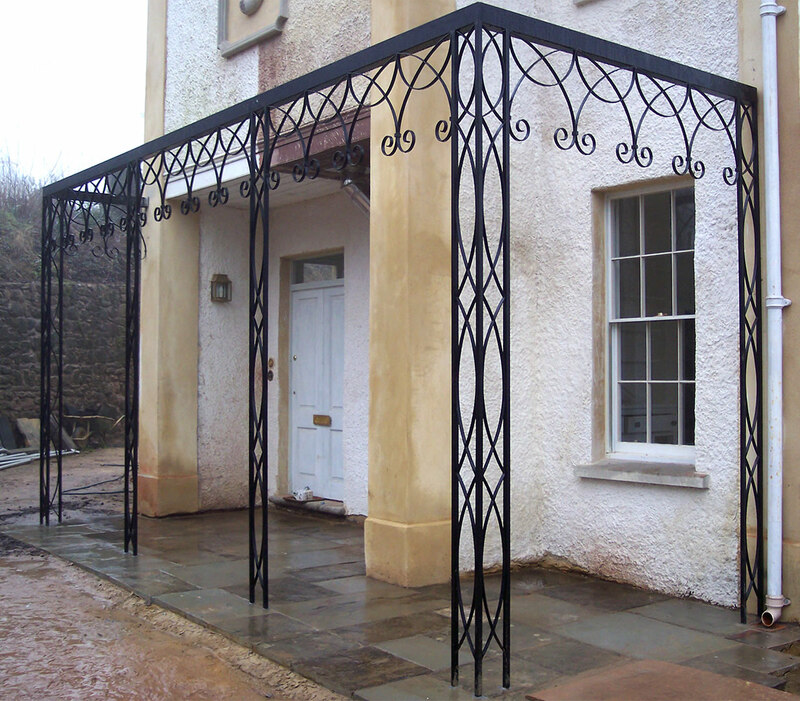 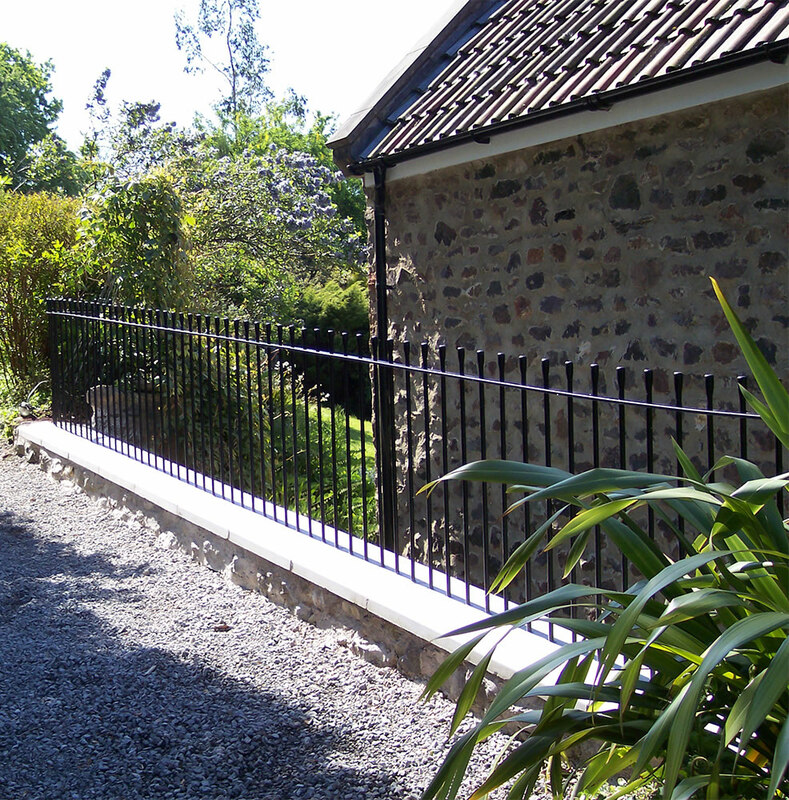 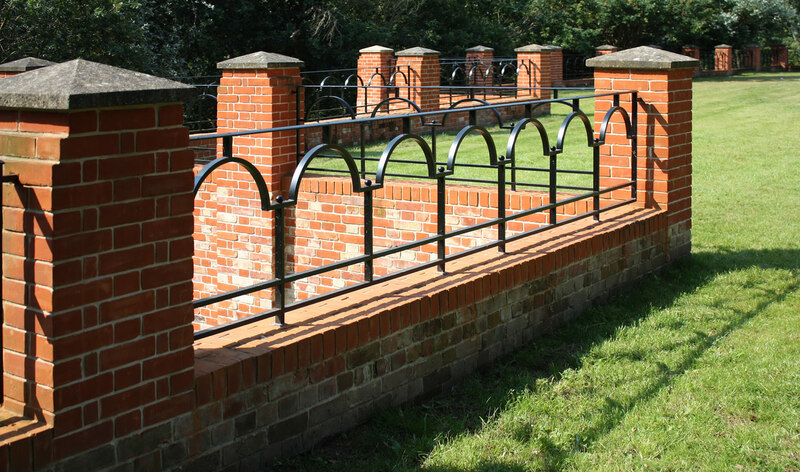 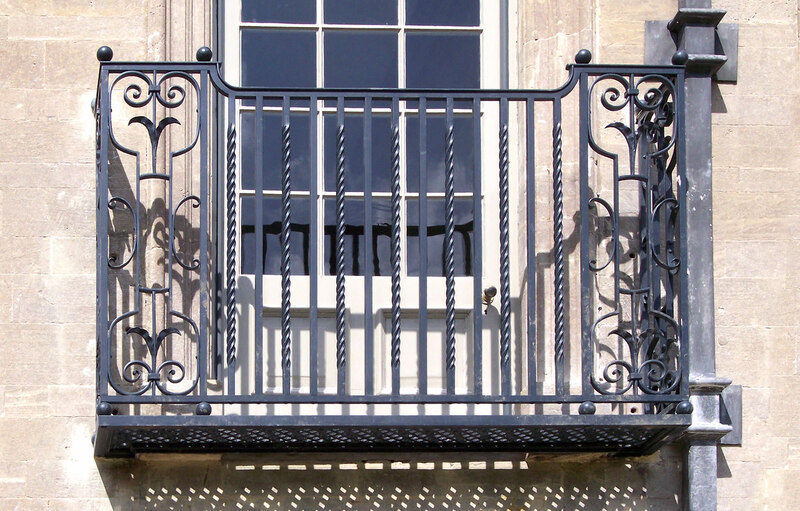 Railings around a Country House. 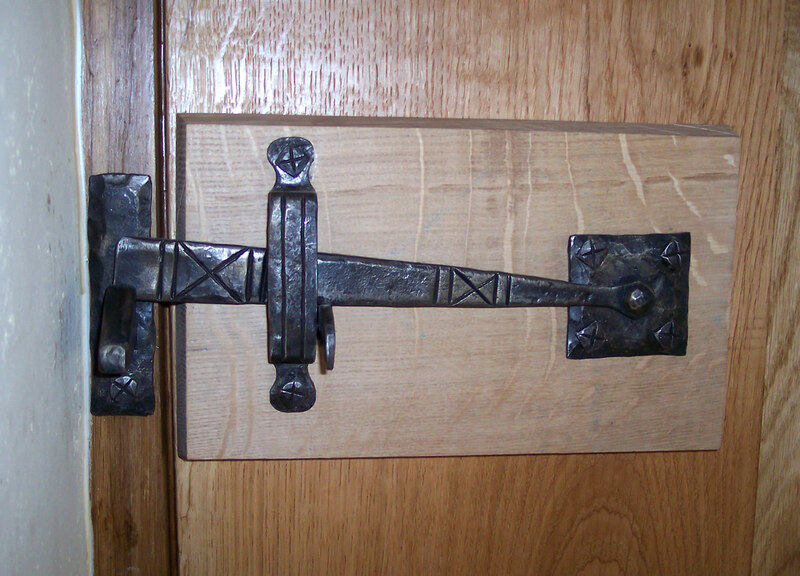 Working closely with the carpenter. 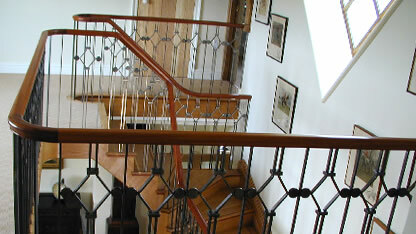 At a private house, designed by James. 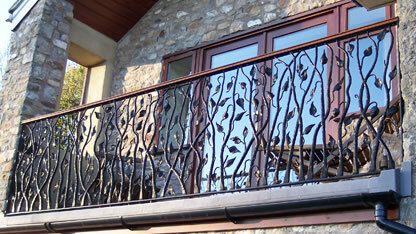 At a private house made to customers design. 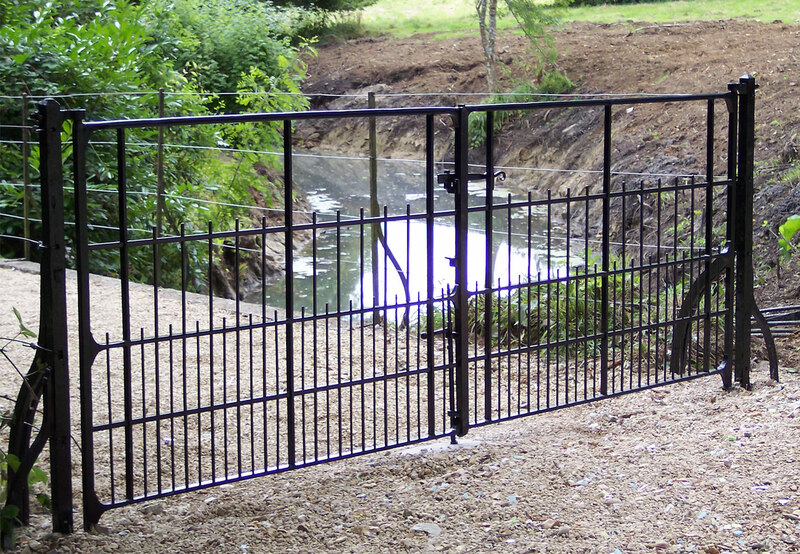 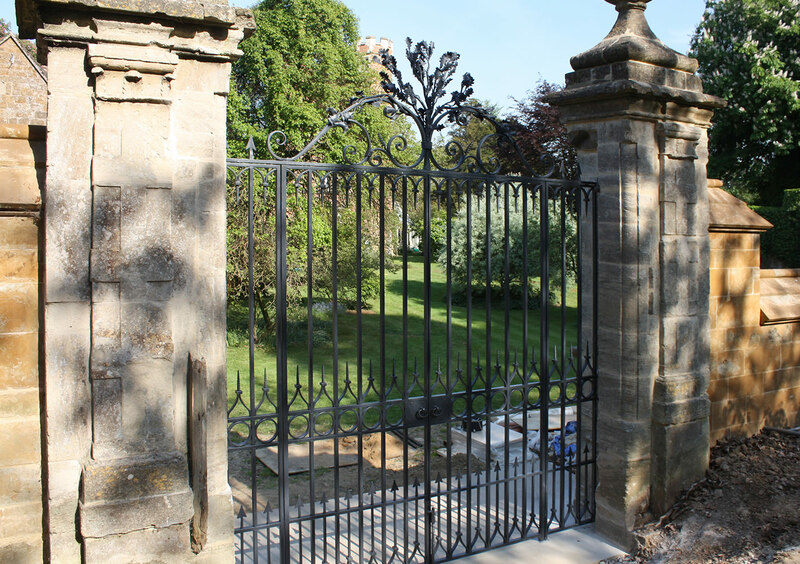 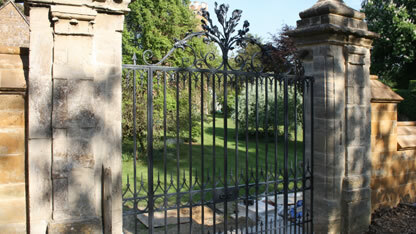 Restoration of church gates, near Frome. 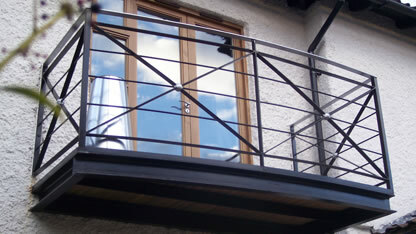 Designed to match existing projects at the location. 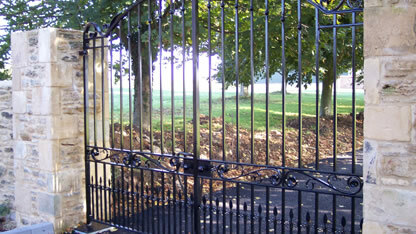 Garden gates at a private house. 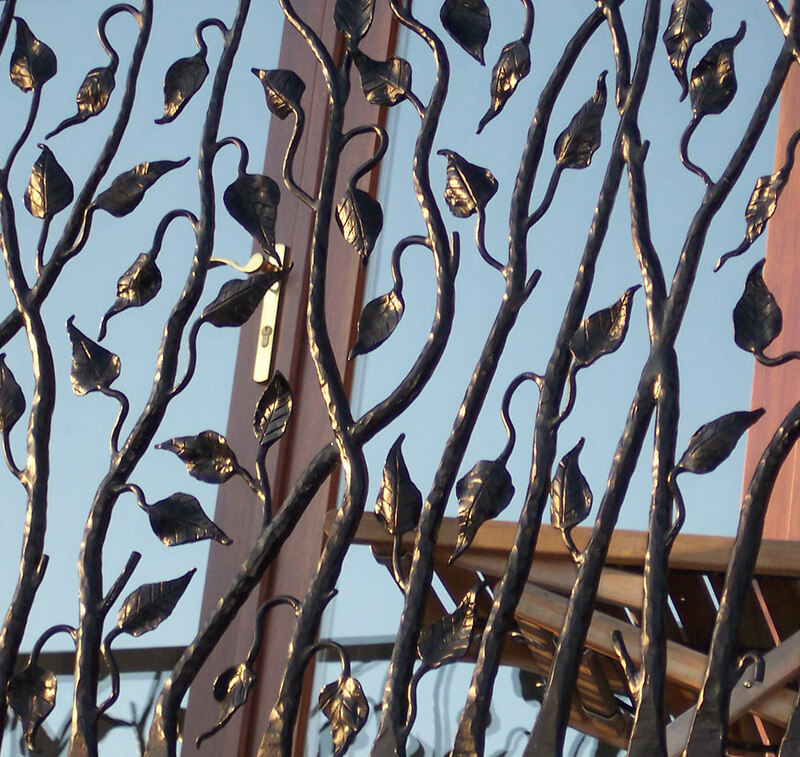 Close up detail of the work. 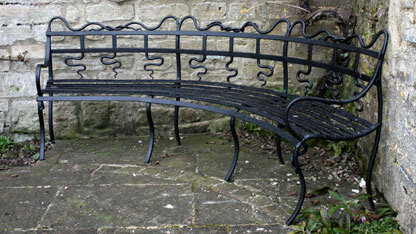 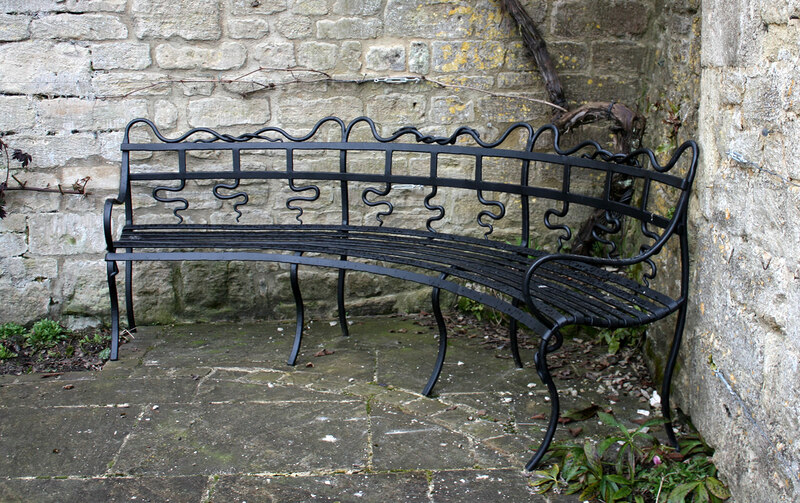 At a private house, unusually designed forged bench. 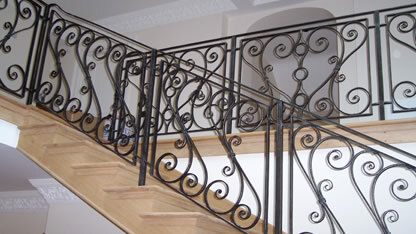 At a private house, designed from scratch. 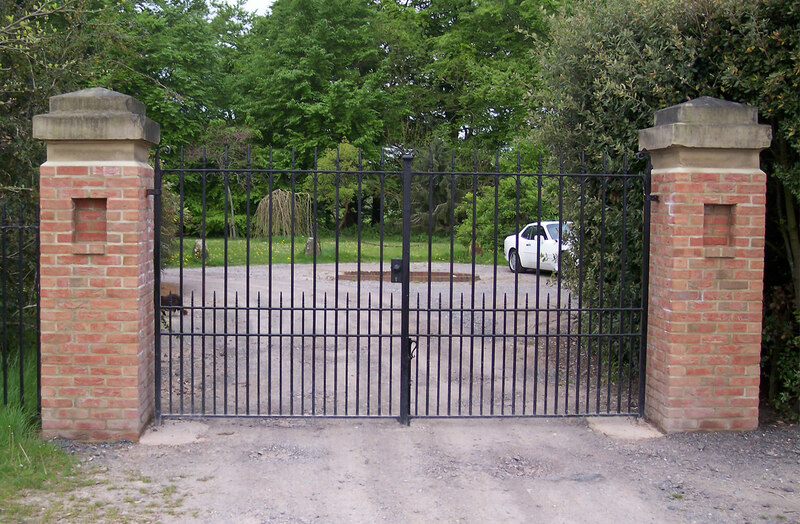 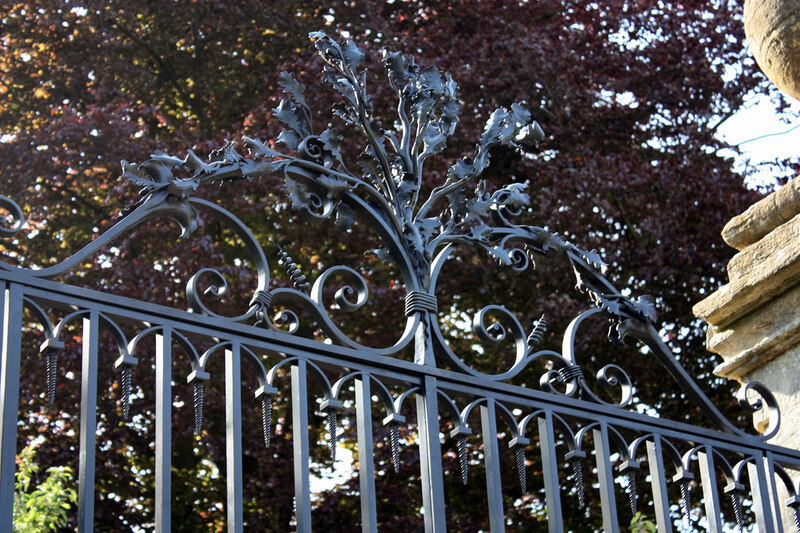 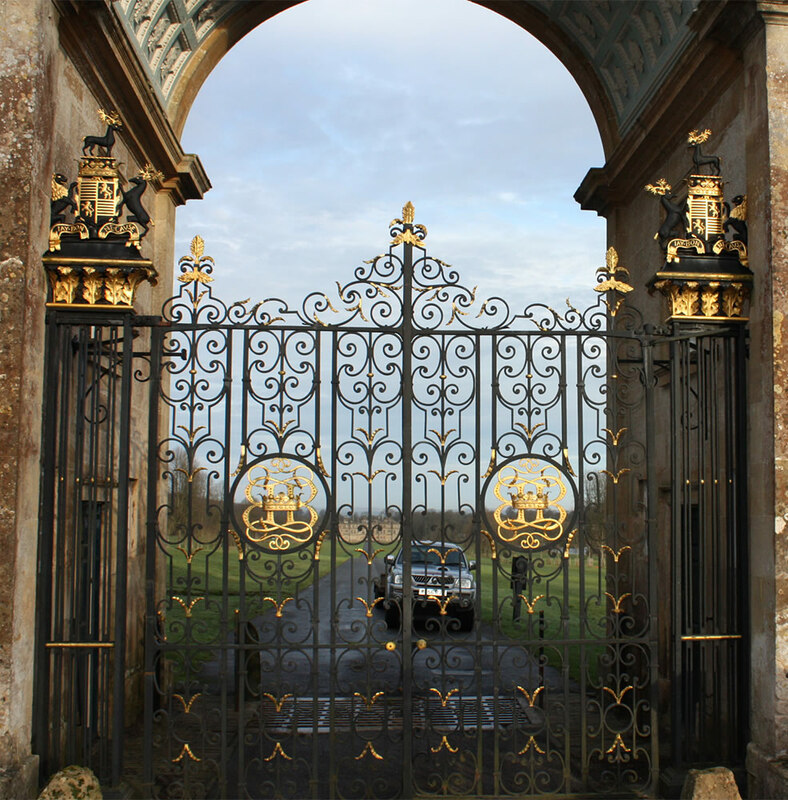 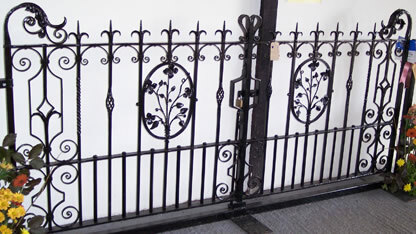 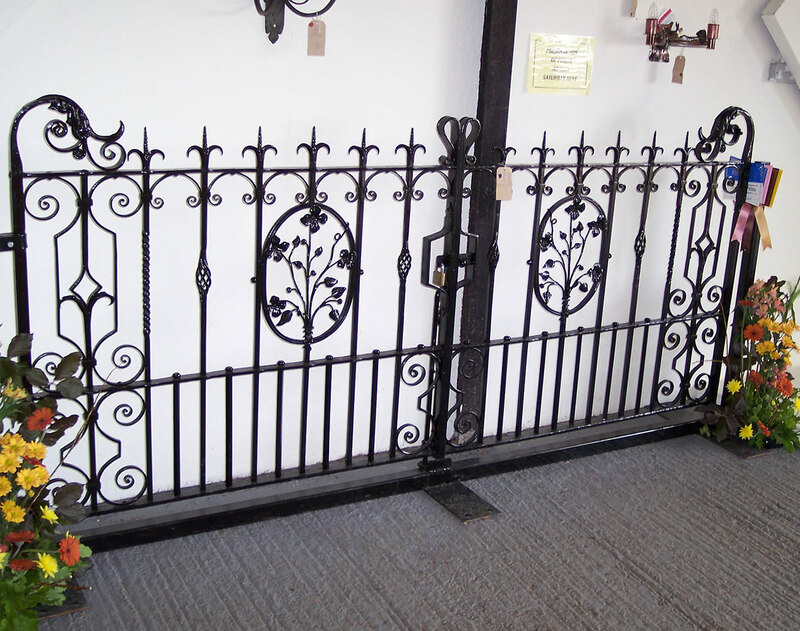 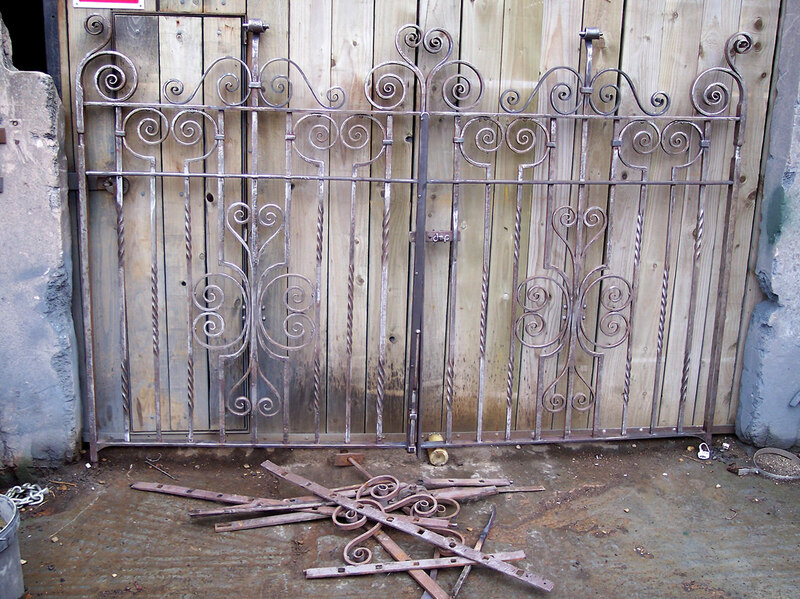 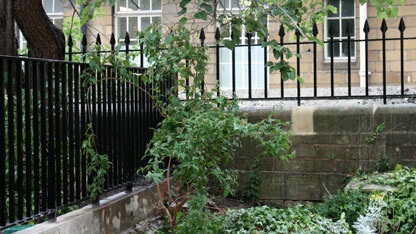 A pair of gates that were in for restoration. 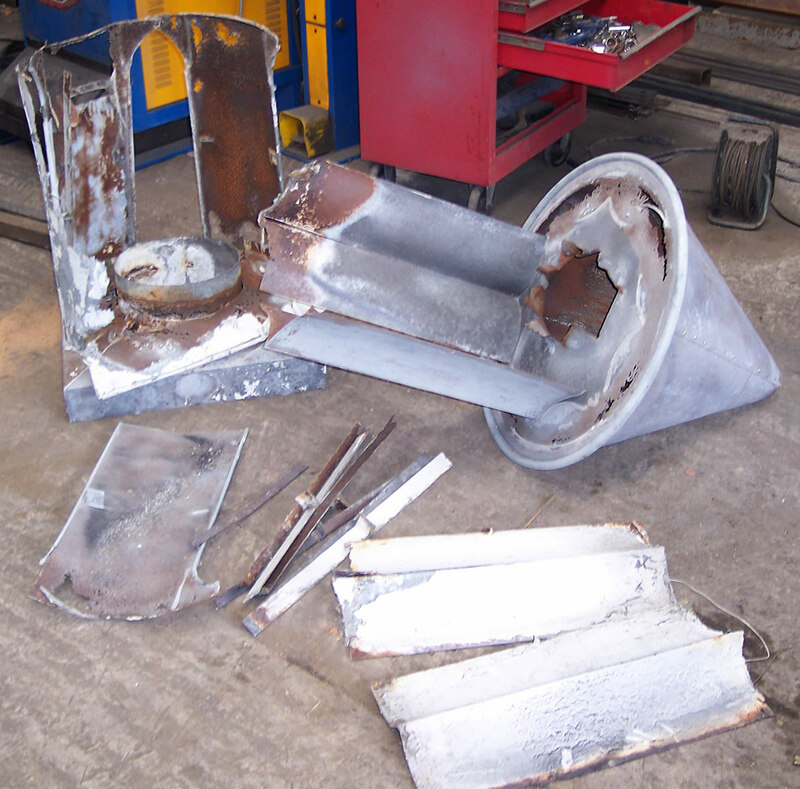 The pile of metal on the floor is all the bits that had to be replaced. 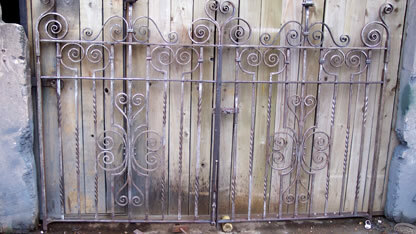 Eventually finished in a grey paint. 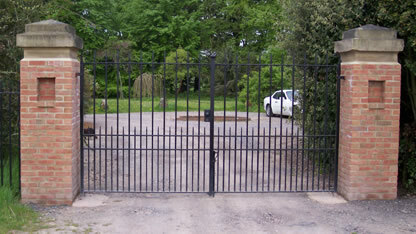 Now Living state side. 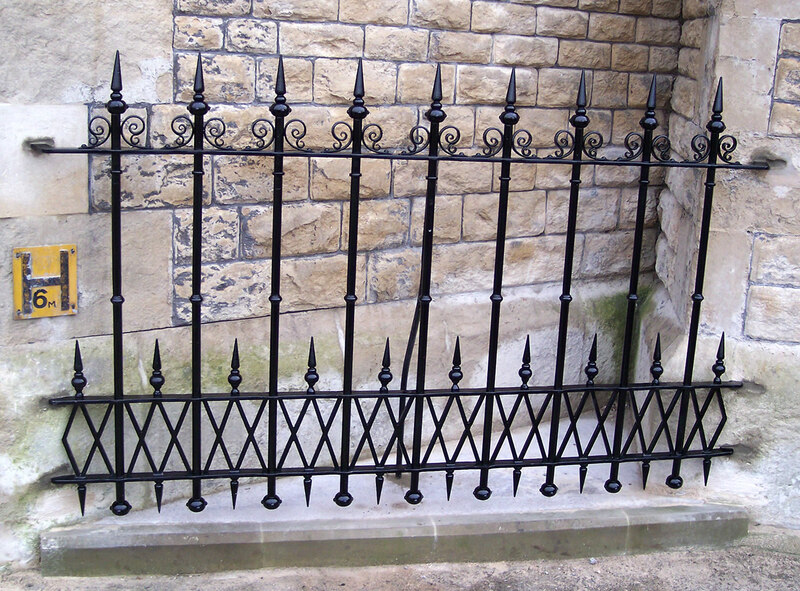 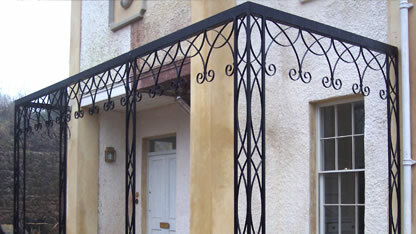 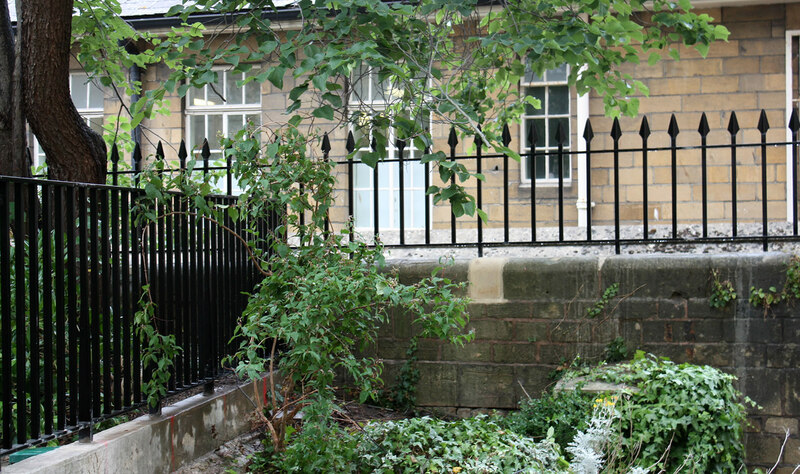 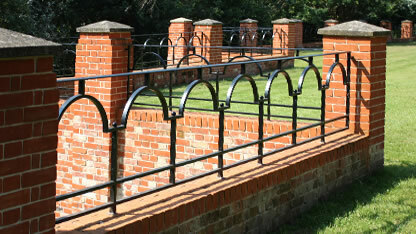 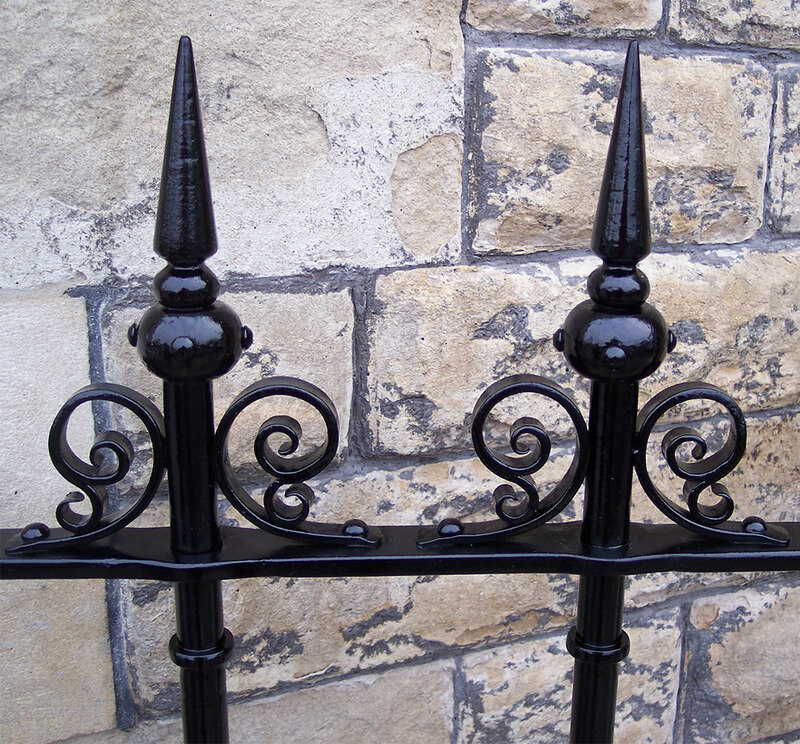 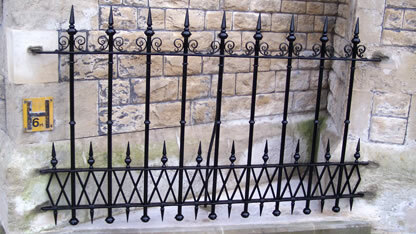 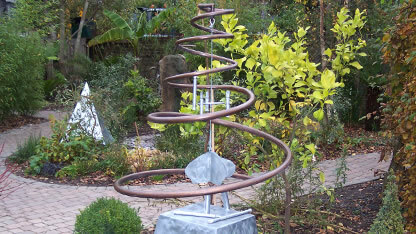 Reproduction of a railing panel, near Trowbridge. 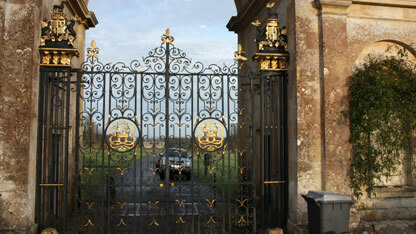 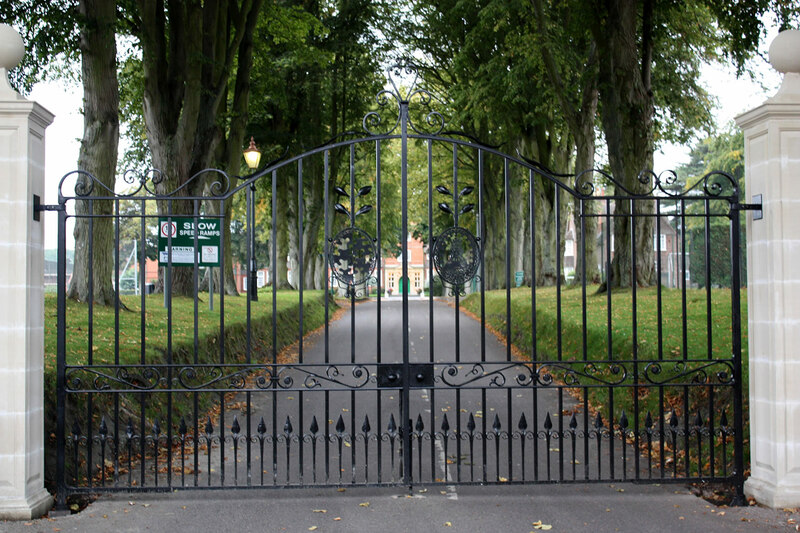 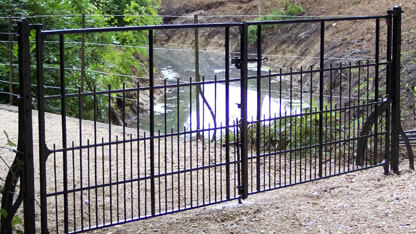 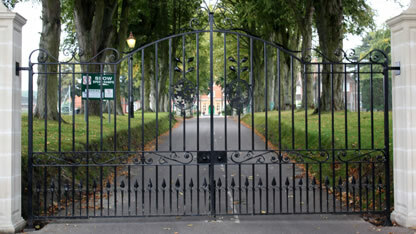 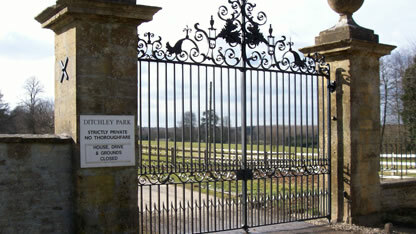 Pair of driveway gates taking first prize at the Bath And West Show. 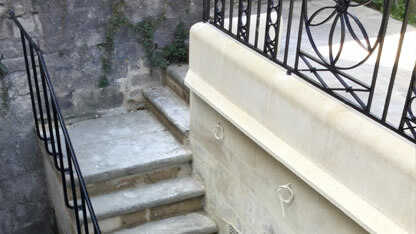 Now living on a private driveway in Frome. 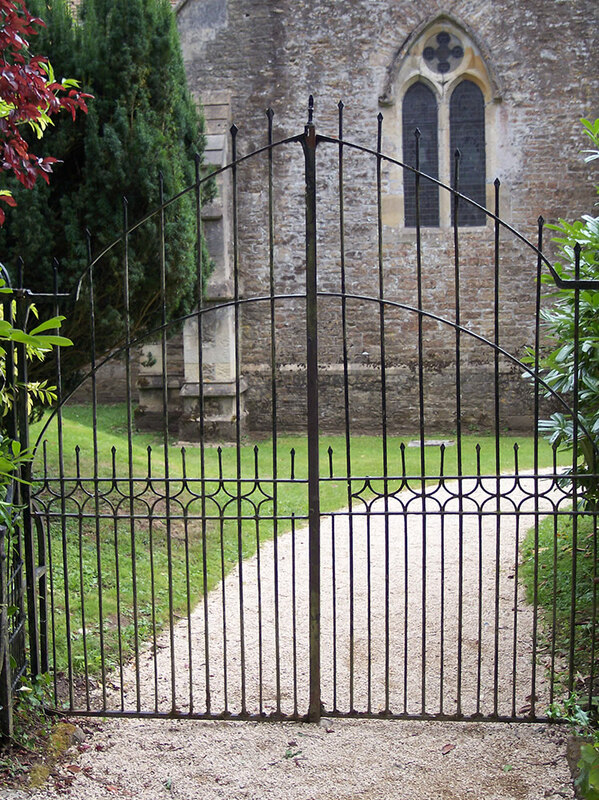 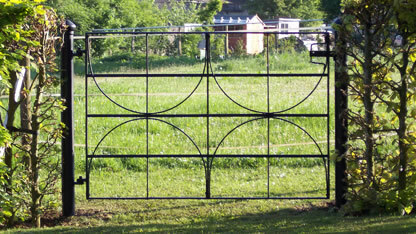 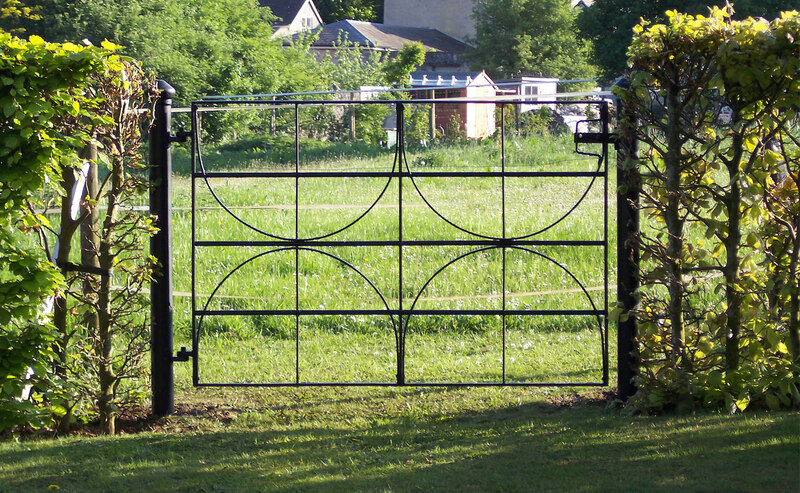 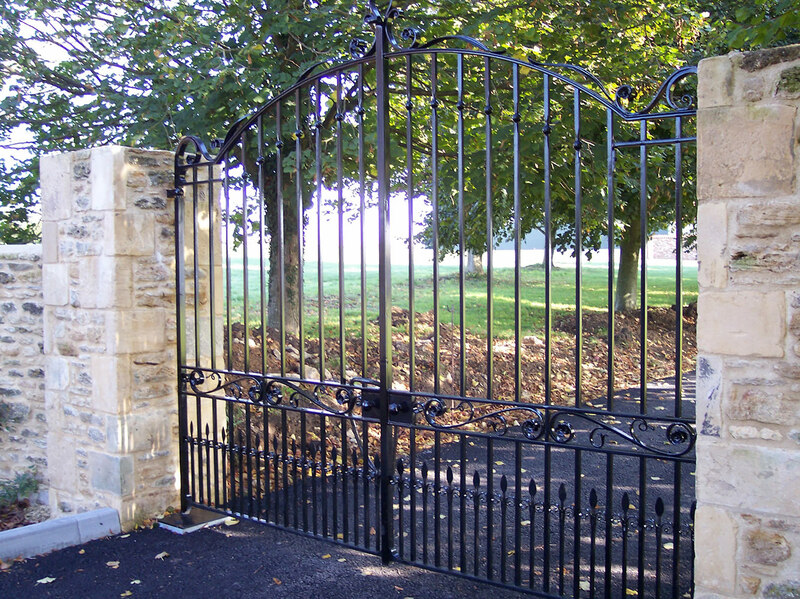 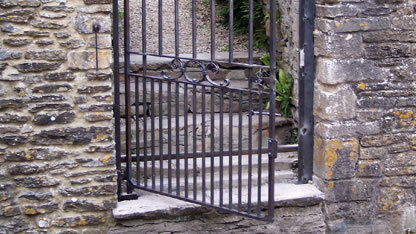 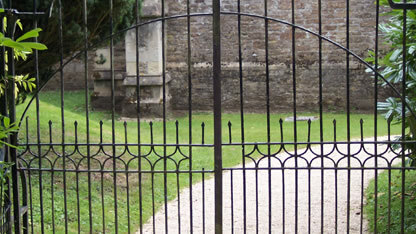 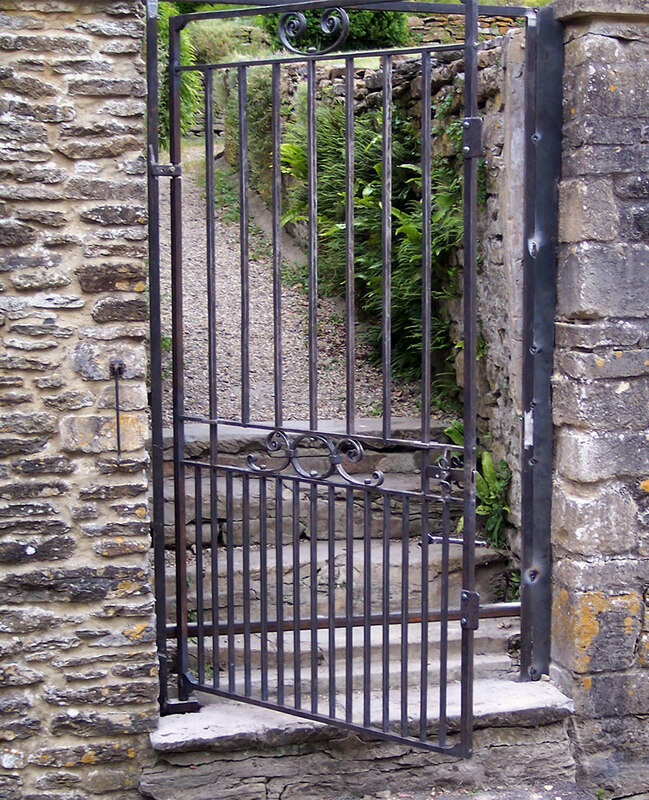 Reproduction of church gates near Frome. 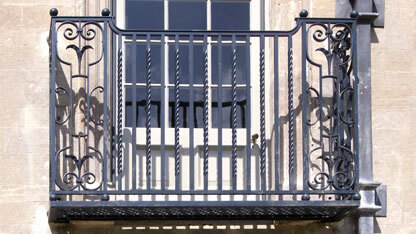 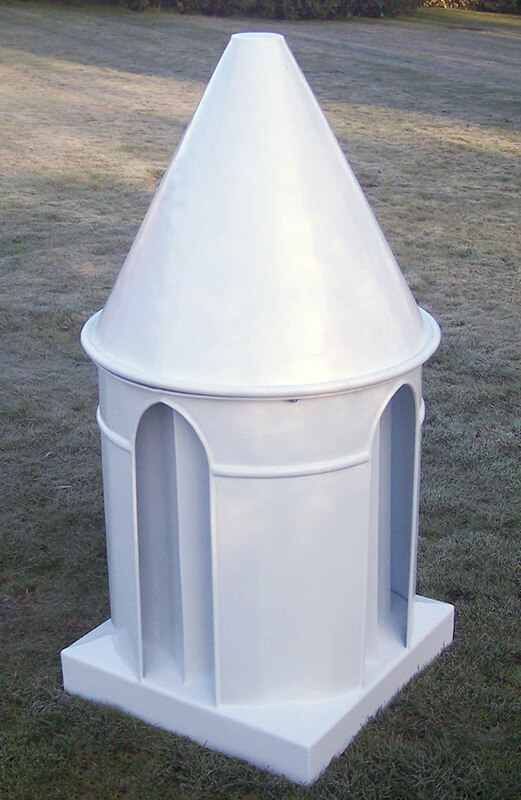 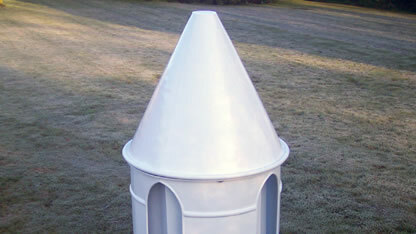 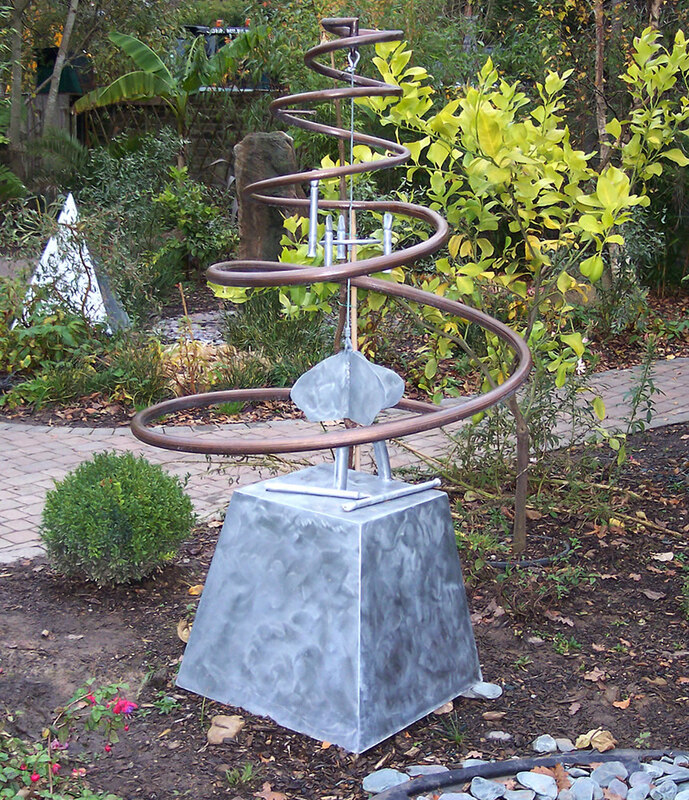 Built, Zinc sprayed and painted. 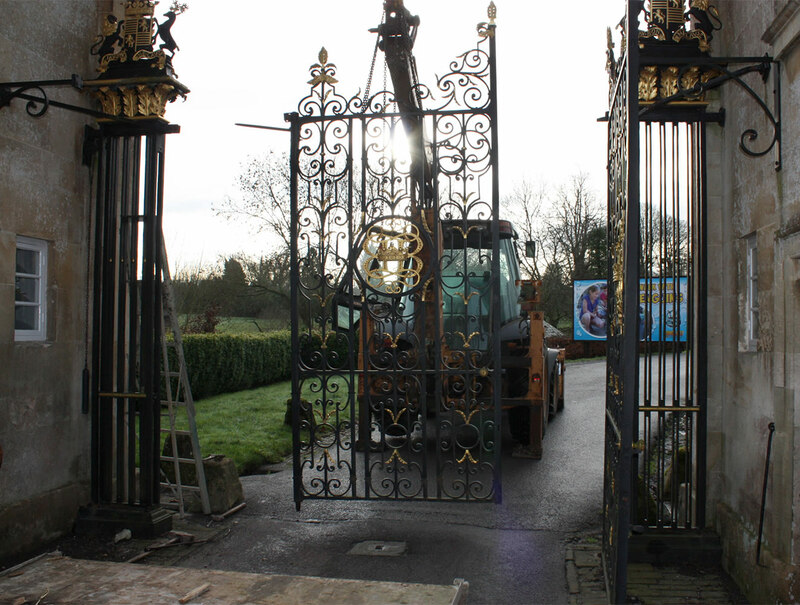 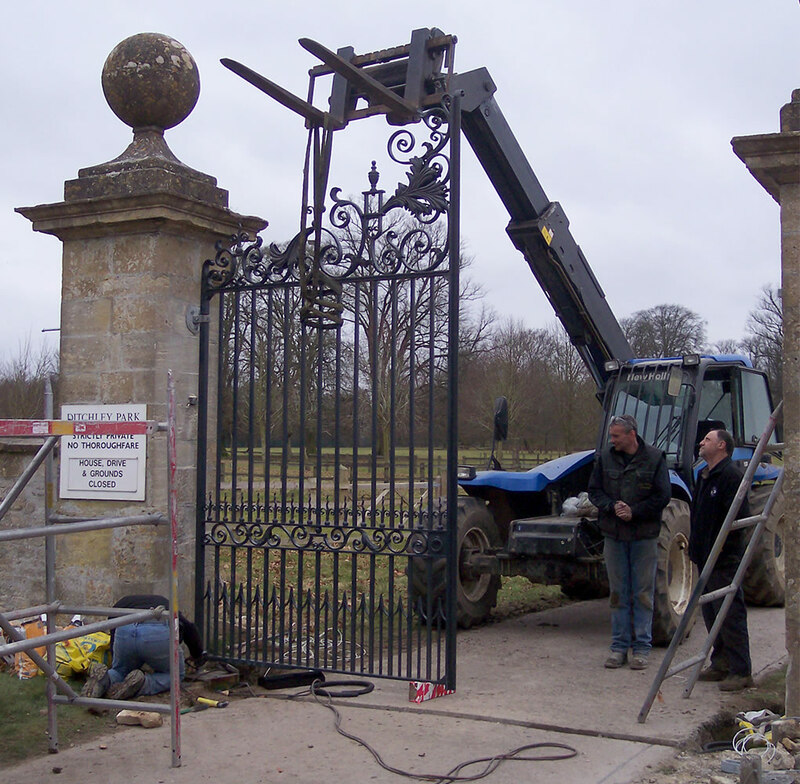 Gates from a private estate being removed for straightening. 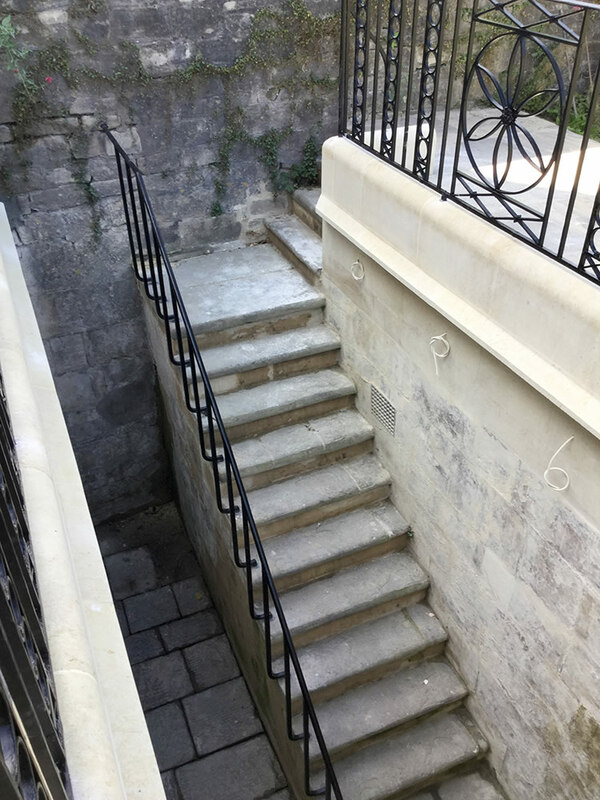 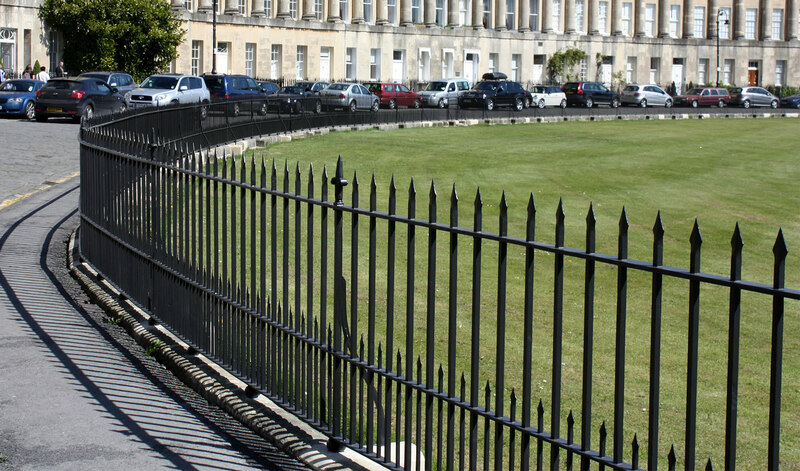 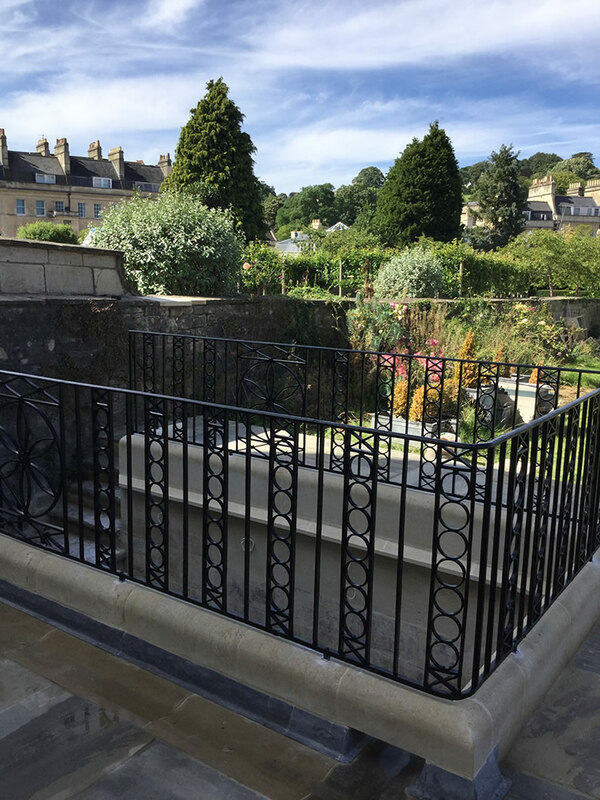 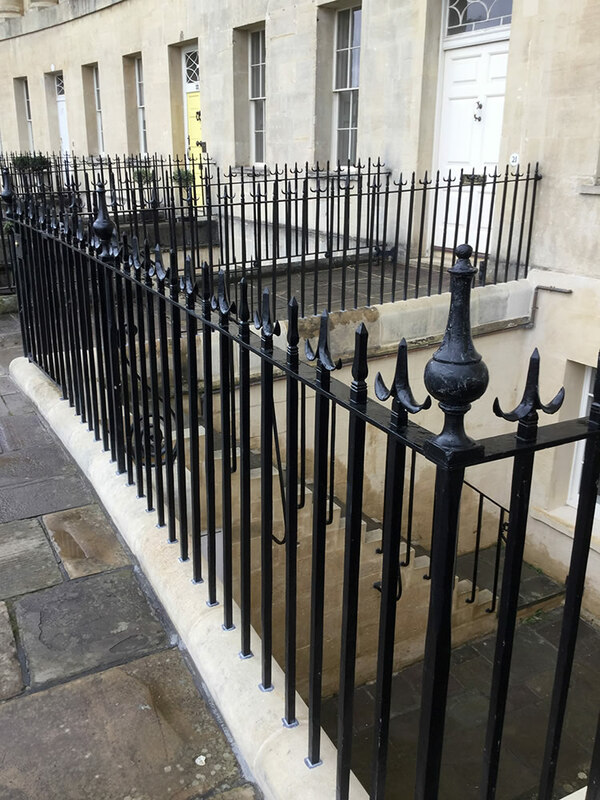 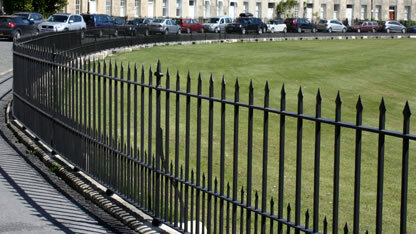 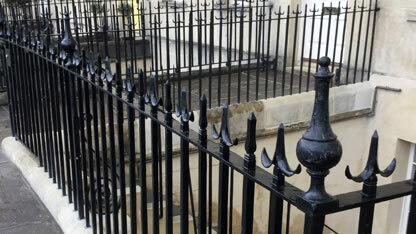 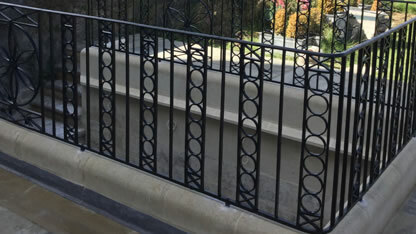 Railings restoration Bath,with the lead fixings. 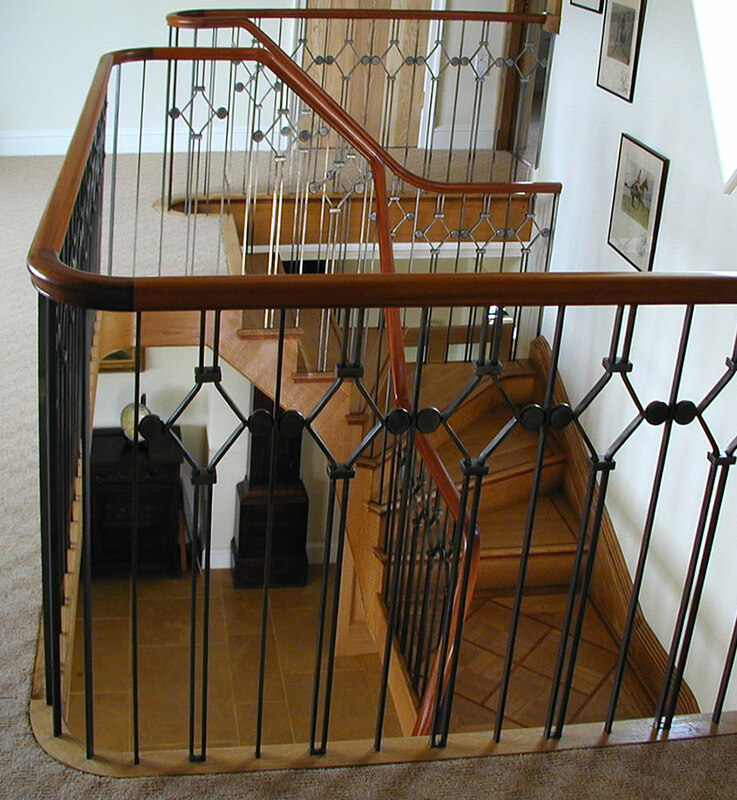 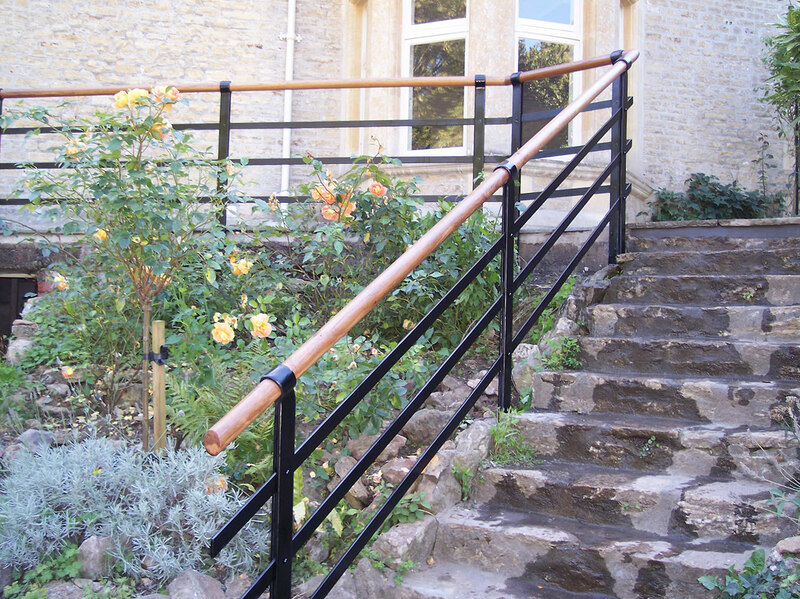 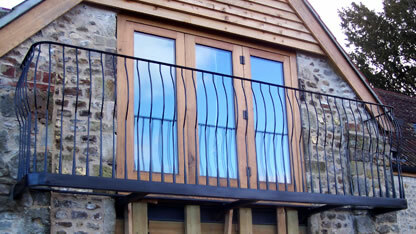 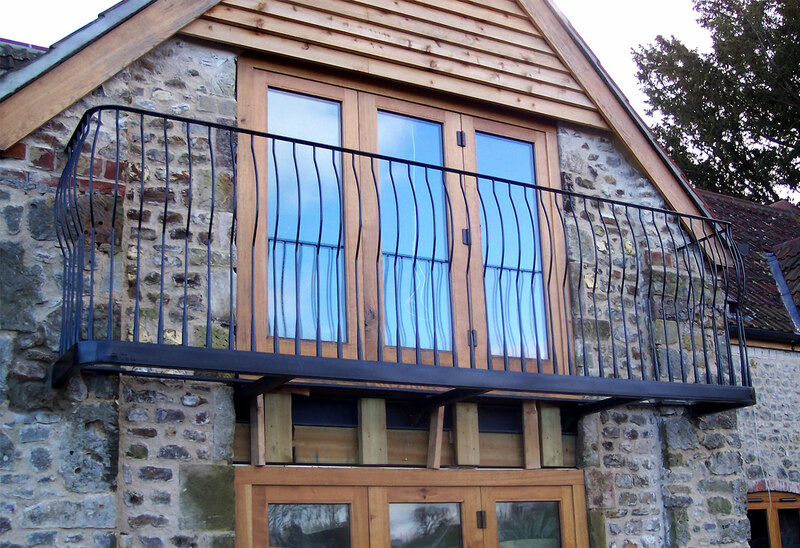 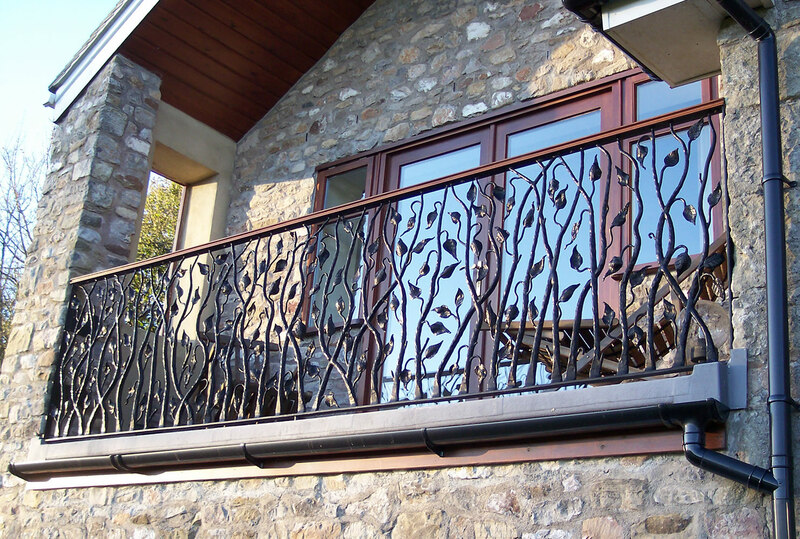 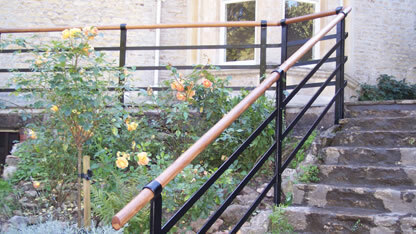 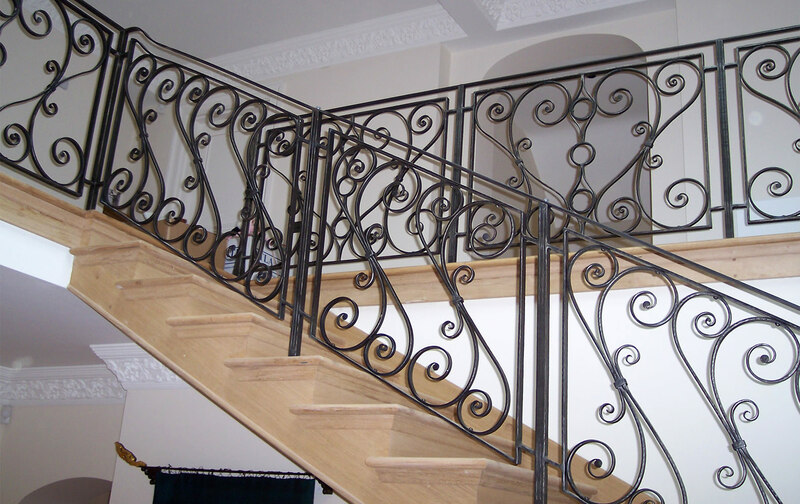 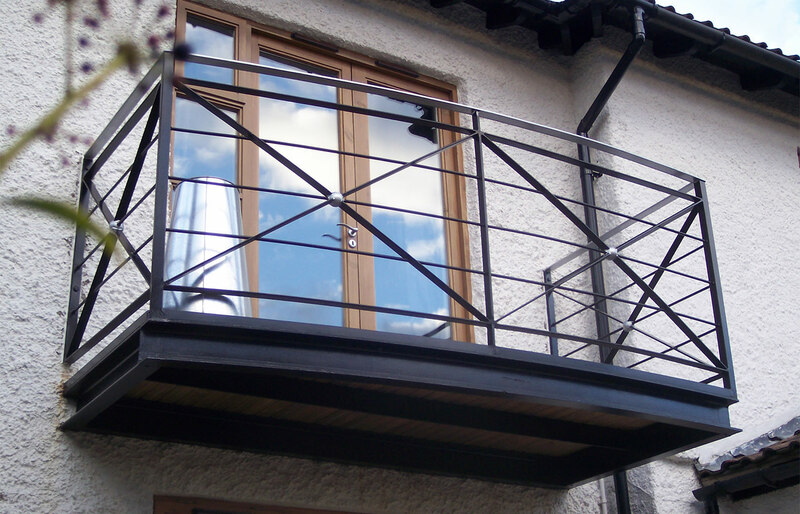 Metal work and wooden hand rail. 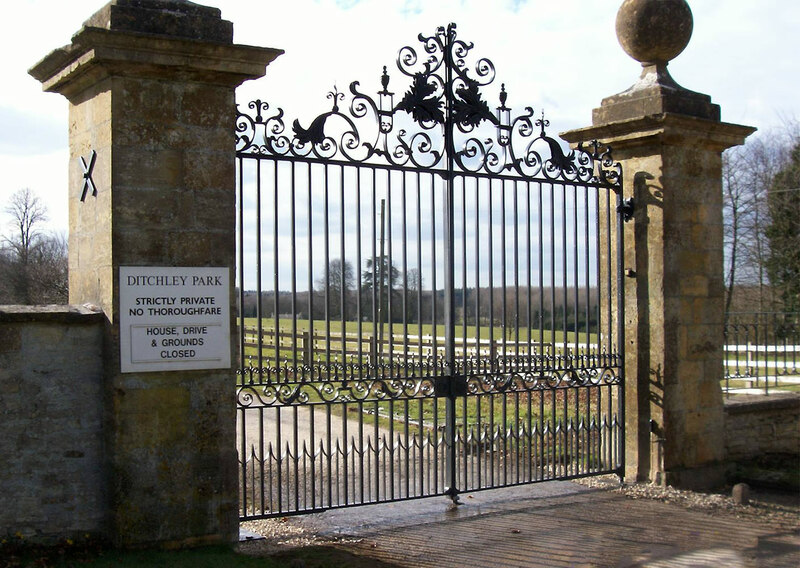 Privately owned. 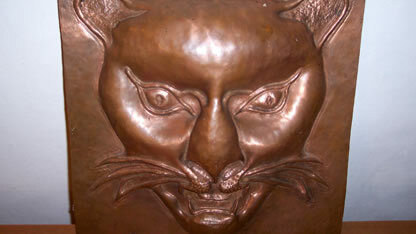 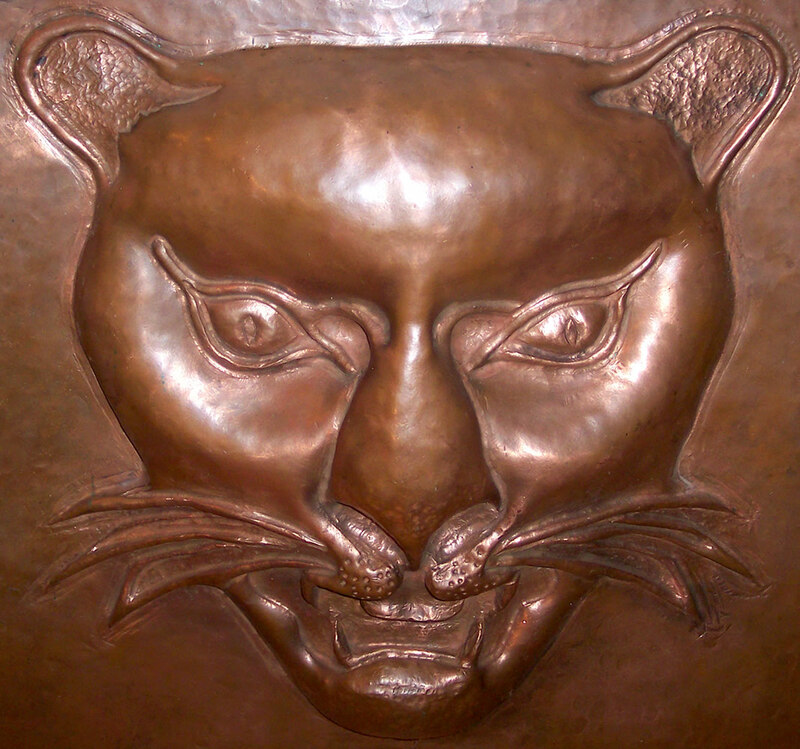 Sample of repousse copper. 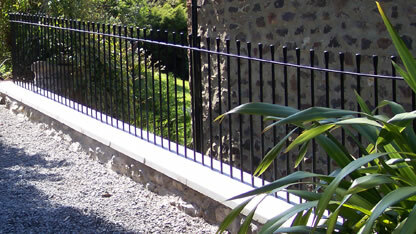 Please contact us if you require any further information, or would like a quotation.